The Samsung’s first quad camera smartphone, Samsung Galaxy A9 is now available on Amazon. The phone price starts at ₹36,990 for 6GB RAM and 128GB storage combination. Samsung Galaxy A9 comes with SD 660 processor and 3720 mAh large battery capacity. 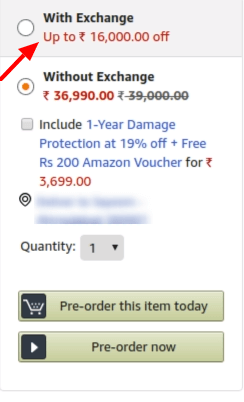 You can buy Samsung Galaxy A9 in exchange offer with discount up to ₹16,000 and on EMI from ₹1,741/month on Amazon.